Please help support our local Girl Scout troops! 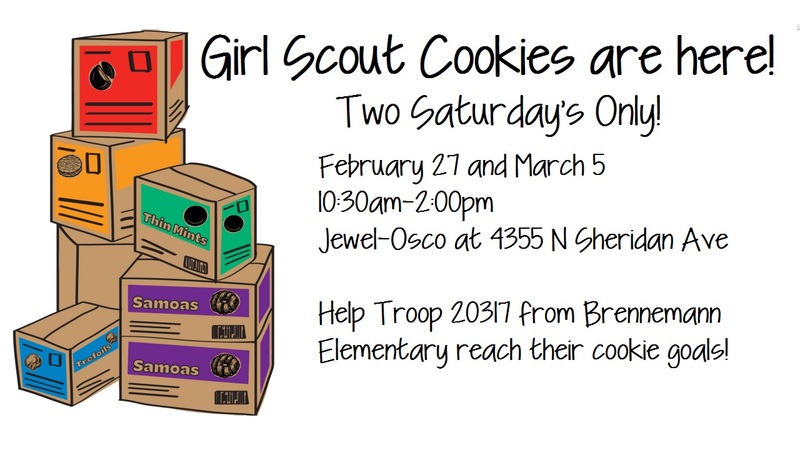 Girls who attend Scouts at Brennemann School will be selling boxes of cookies outside of the Montrose/Broadway Jewel this Saturday (February 27) and next (March 5). Cookies are $4 a box. Girl Scouts are and have always been one of the most inclusive organizations, for more than 100 years. Their goal is to accept and support all girls, not just one kind of girl. We are proud to support them and their mission. Please help them reach their cookie sale goals!